Our experience in manufacturing these springs is vast and the extensive work experience gives us an edge over others. We are able to meet industry demands and also we are able to match designs with needs. We get demands from different manufacturers and our engineers work hard to meet the demands. The first thing that matters most for us is quality. 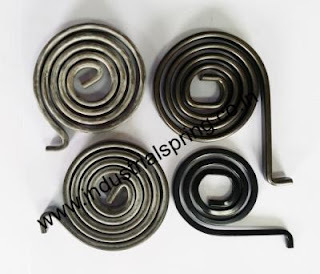 For more visit www.industrialspring.co.in, Email-ashaspring@gmail.com, Ph-9831341577.